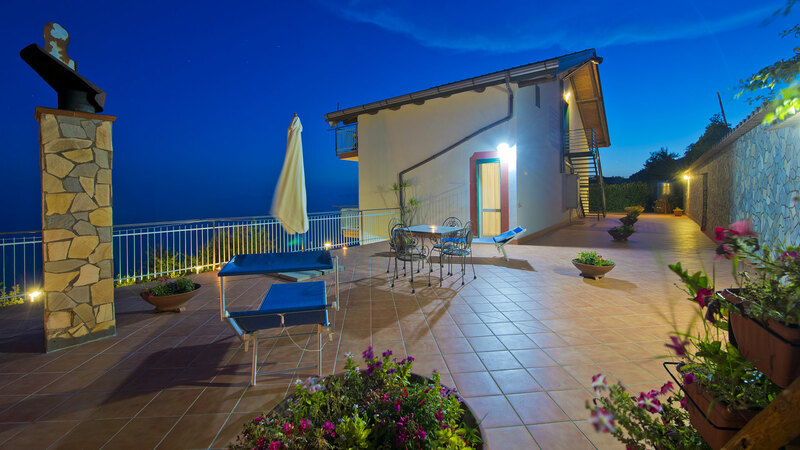 "Il Dolce Tramonto" is a new house built in a panoramic position overlooking the sea (even when comfortably laying in bed!). 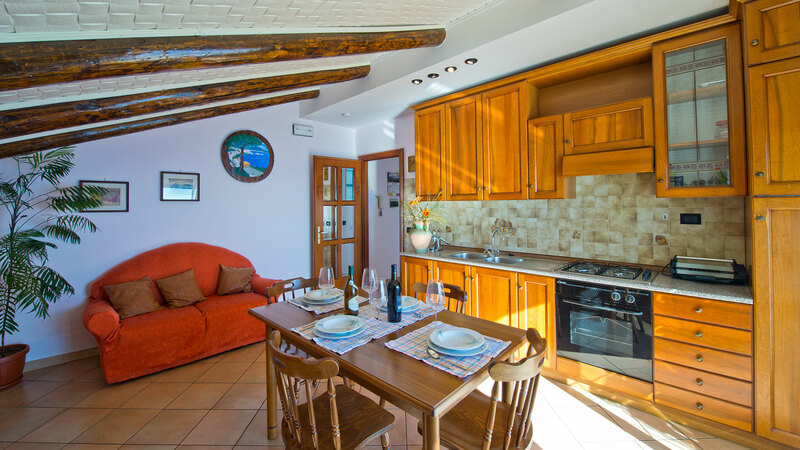 It offers to you three apartments from 40 to 70 square meters: Alba, Infinito and Tramonto. 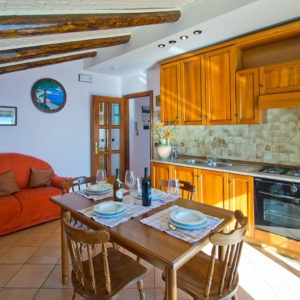 They are self-catering apartments, well-furnished and equipped with that all you need to spend on a pleasant holiday. TV, radio, Wi-fi and a pot for tea or American coffee complete the in-room facilities. 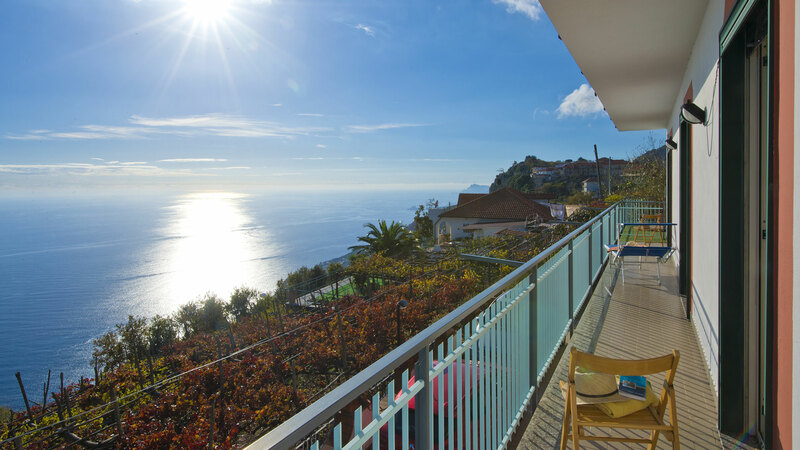 Each apartment has its own parking place and there are large common use terraces equipped with sunshades, tables and deck chairs. 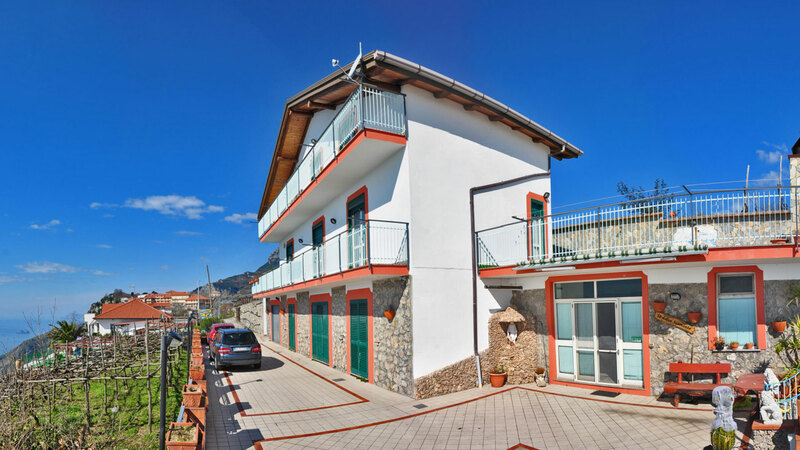 The house is a few hundred metres from the centre of the village where you can find all the necessary shops. 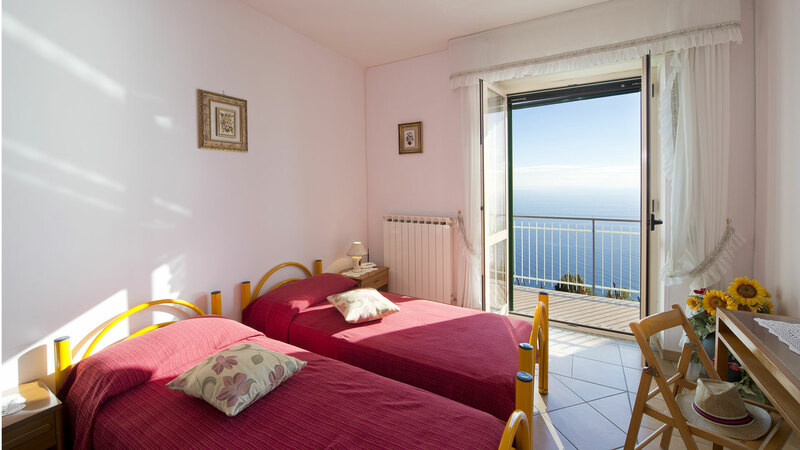 The village is an excellent starting point for the many pathways that lead to the wonders of the Amalfi Coast: Amalfi, Praiano, Conca dei Marini, Positano, Furore, Scala and Ravello. The nearest beach is approximately 9 km away. Here there are many famous walking paths such as “The Path of the Gods”, well known for its spectacular panoramic views. The owners live close by on the first floor and are therefore always available to give their guests any support required. Maria and Marcello are wonderful warm hearted people. 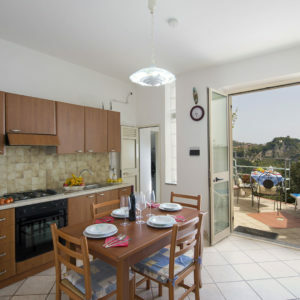 Over the years they have gained considerable experience and now offer an unforgettable local hospitality to both Italians and foreign tourists alike.